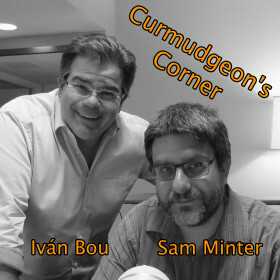 On this week’s Curmudgeon’s Corner Sam is mostly solo. He talks about the 9th anniversary of this podcast, the usual rundown of Election 2016 with bits on Trump’s recent antics, the Sanders end game, the Libertarian convention and even David French. In the non-political world, he covers the gorilla incident, hate speech vs free speech, and a book he read recently. And then to top it off, we have Michael from Pennsylvania back to talk more about gay Republicans.